He's had a cameo in a few shots, but I wanted to share some shots of my Airfix Sherman. I think this was the first model I made that I actually thought was OK, when I started getting back into making models. Unfortunately, I snapped of the aerial yesterday and now I've lost it. I'll need to stretch some sprue and make another. This kit is actually from the BattleFront set, but I don't suppose it's much different from the boxed kit. The Figure is actually one of the figures from the set, I heated the arms and added a machine gun from another figure. It's my first attempt at modifying a figure - I suspect that's pretty obvious. The barrels, bike and other equipment all came from the BattleFront set as well, the "rope" is just some cotton twine I use when fletching arrows. 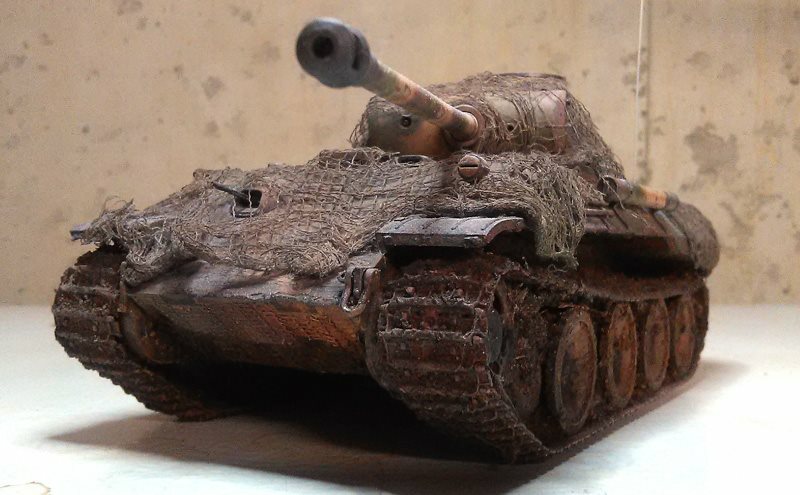 I've just subscribed to Fine Scale Modeler - and I might be brave and upload some pictures there - but a lot of the stuff on there is amazing. Hopefully the bigger boys won't pick on me.